Beauty Blog by Angela Woodward: Facial Cleansing Brushes, are they worth it? This question is referring to things like the Clarisonic and the Olay Pro X Brush. SO here is the thing, yes and no. I hate that answer but here is what you need to know. When we clean our face using our hands and a wash cloth, we usually only get about %40-%55 of the dirt and oils that are built up on our skin. Using brushes like these can help us make sure that we get at least %80-%90 of the dirt and oils on our skin. 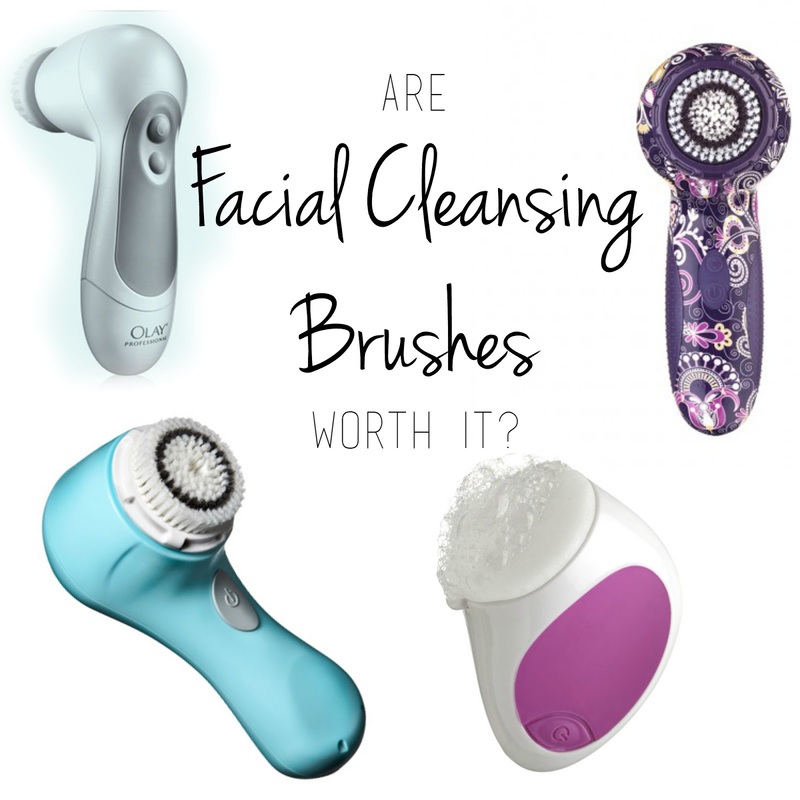 There are three things you will find when purchasing a facial brush. The most common is a brush that has a head that spins in a circle. The next is a brush that rotates back and forth in small short movements. The third is a brush that vibrates. When you get a brush that spins it loosens a lot of surface dirt and oils, however it can push those dirt and oils deeper into the pores of your skin, and will not help you to get dirt and oil from below the surface. A rotating brush is better because it will help to loosen debris but not push them down further into your pores. A vibrating brush head does not help to loosen dirt and oils on the surface as much, but does help to release and break up what is in your pores. The best one hands down is the Clarisonic. I have never met someone who has a Clarisonic that doesn't love it. It has a brush head that rotates and vibrates so you get the best of the features! I have also had a really good experience with and feed back on the Michael Todd Soniclear systems. If you are looking for the poor man's version, I recommend getting the Dermalogica Exfoliating Facial Brush (picture on the right) to use in conjunction with the Neutrogena Wave Sonic. This is because the Dermalogica brush will gently exfoliate dead skin and get rid of surface oils, but the wave sonic will vibrate to help break down oils in the pores. I recommend using the Wave Sonic, then the Dermalogica brush, and the Wave Sonic again, so break up dirt and oils, then exfoliate and cleanse, and then to be sure none of those dead skin cells got pushed into the pores.